Here at Mystery Box we’re always looking to improve our workflows in two big ways: increasing consistency and quality of work, or reducing the time it takes to do a common task while maintaining its quality. One of the big changes we’ve made in the last few years that has helped us accomplish both of these goals is moving many of our color grading tasks to look-up table (LUT) based workflows when possible. While this often involves using LUTs for creative tasks, we’ve primarily been building our own set of utility LUTs to handle things like conversions in a consistent and high quality manner. The best case scenarios for us is when we refine a LUT to the point that we really don’t need to make any tweaks to an image after applying it: it simply works in all, or almost all of the cases. Many of the LUTs we’ve built over the last two years are related to our work in HDR video, and started as solutions to problems we’ve run into. As HDR video workflows become more common, more and more companies and individuals will be running into similar problems as we have, so we want to make sure that the solutions we've come up with are available to anyone who needs them. These LUTs quite literally save us hours and days in color correction, and when running specific post processes. So we’ve decided to make our utility LUTs available for license1 from our web store. Here we will outline the different problems we’ve run into, and present the Mystery Box LUTs we’ve developed to solve the problem, so that you can also utilize them to accelerate your workflows. Color space conversions are transfer function dependent - How do we prevent color shifting when moving between them, especially in HDR? HDR Brightness and contrast operations aren't well defined or implemented - How do we scale brighten an HDR image while preserving its contrast, or authorial intent? How do we work with the full HDR PQ specification on a limited brightness display? There are different versions of HDR in use today and we often have to deliver in both. SDR and HDR are not directly compatible, and until all displays and content are in HDR, we have to work with and mix both. HDR data ranges are not properly implemented in programs. What can we do to fix this? Many camera systems aren't designed to work with HDR10. How do we get them to work in this new emerging format? HDR grading displays are very expensive - is there any way to bring down the cost? After significant testing, we’ve found that color space conversions, like from a camera native to Rec 709 or from a Rec. 709 to a Rec. 2020, behave differently depending on the transfer function used to encode the footage. If you don’t account for the LOG or HDR format that the footage is in when you apply a color space transformation, you’re going to end up with hue and saturation shifts. A lot of the color space transformations included in applications that allow or manage colors spaces don’t take the transfer function into account, which means that you may end up having to manually adjust hues and saturations. But for the footage we’ve worked with, we’ve built LUTs that perform the conversions with the transfer functions in mind, so that we don’t have to correct and recorrect each time we need a conversion. We have three LUT packs that incorporate this directly for the footage we handle most often, while the color science is built into any of the other LUT packs we sell. We offer color space conversion LUTs accounting for SMPTE ST. 2084 (PQ)/HDR10, Panasonic V-Log, and RED’s Log3G10 transfer functions. There are times when grading or delivering HDR10 where having the ability to change the color primaries is useful. We’ve prepared a series of HDR10, with accompanying SDR LUTs, to handle conversions to and from the common deliverable color spaces: P3 D65 and DCI-P3 for digital cinema, and Rec. 2020 and Rec. 709 for broadcast standards. We use these LUTs to manage deliverables required in color spaces other than Rec. 2020 for HDR, since we grade on our Sony BVM-X300, and for all kinds of SDR cross conversions. The Rec. 2020 to Rec. 709 HDR10 and the Rec. 2020 to P3 D65 LUTs are integrated in the HDR Grading LUTs for the Atomos Sumo and SmallHD 1703 P3X, which we’ll discuss later. The Panasonic V-Gamut is used as a wide color space for the Panasonic VariCam series, and accompanies V-Log as the native camera LOG format. Because of some grading work we did on V-Log footage, we’ve prepared LUTs to move from V-Log into Rec. 709 and Rec. 2020, accounting for either V-Log or Gamma 2.4 curves, for workflow flexibility. RED’s IPP2 pipeline offers immense improvements to RED’s color science, and has allowed us to get the best possible images out of our RED line of cameras. RED distributes a whole slew of IPP2 LUTs for grading in SDR and HDR, and we recommend getting those for basic and fast corrections. However, we’ve found that for HDR grading, it’s useful to convert from RedWideGamutRGB directly into Rec. 2020, while maintaining the encoded Log3G10 - it’s an incredible starting point for HDR grading. As such we’ve prepared LUTs for transforming RedWideGamutRGB into a few different color spaces while maintaining Log3G10, and a few for when your footage has already been corrected into Gamma 2.4. We’ve also included three reverse LUTs for moving from Rec. 2020 into RedWideGamutRGB or from HDR10 into RedWideGamutRGB / Log3G10. We’ve found these to be useful in a few cases, and may be important as part of a graphics workflow operating in RWG/Log3G10, or when mixing footage. High Dynamic Range video, especially video using the Perceptual Quantization curve (SMPTE ST. 2084 / HDR10) behaves differently when trying to scale brightness than traditional SDR video. Adjusting gain causes uneven effects across the entire image, and brightness/contrast adjustments are defined for a gamma 2.4 EOTF. As a result, preserving authorial intent when trying to adjust the overall brightness of an HDR image is difficult. Dolby Vision provides a solution to delivering in multiple peak brightnesses, but it requires multiple grading passes and expensive hardware setups. Also, while HDR10 technically requires grading at the target peak brightness, logically it should be possible to grade at a lower brightness with the intent of delivering at a higher peak brightness while maintaining overall image contrast (i.e. the entire image ends up brighter, but the contrast remains the same). Using the mathematics associated with the Perceptual Quantization curve, we were able to create LUTs based on a scalar function, that will effectively “scale up” or “scale down” HDR brightnesses while keeping the contrast identical across the various images. For instance, we can scale up content mastered on our BVM-X300, which has a peak brightness of 1,000 nits and a max frame average brightness of 180 nits, to have a peak brightness of 4,000 nits, and a max frame average brightness of 720 nits. Or, we can scale down peak brightness of the image to 400, 300, or even 120 nits, to better match a display with a lower peak brightness, while preserving the overall image contrast. In other words, the dynamic range of the picture content remains the same, but the image content is moved up or down “x-stops” in the digital data. We’ve tested and used these LUTs to scale up and down content in a variety of scenarios, including deliverables to clients (with their knowledge that this is what we did) exhibiting displays at 2,000, 4,000, and 10,000 peak nits. With these LUTs we also have a set of LUTs that directly convert from PQ into Gamma 2.4 SDR, with hard clips at 120, 300, 400, and 1000 nits. These are incredibly useful as starting points for grading SDR versions, or for allowing SDR displays to accept HDR signals and convert them into the panel’s native brightness range. Currently there are two competing standards for High Dynamic Range video: Dolby’s solution of Perceptual Quantization, standardized in SMPTE ST.2084 and used in HDR10, and The BBC/NHK’s solution of Hybrid Log Gamma, that builds on SDR curves and extends their high end into a brighter peak. Further, the two formats are not directly compatible, for a variety of reasons, including the fact that PQ is display referred, while HLG is scene referred, and PQ allows for substantial improvements in the darks. But so long as there are two competing formats, it would be advantageous to quickly move content from one to the other, with minimal effort or regrading. So, how can we convert between HLG and PQ? We’ve prepared three LUTs using three separate techniques to convert between Hybrid Log Gamma and Perceptual Quantization. Each behaves slightly differently, and the different versions are for the most part reversible, that is HLG to PQ v1 is reversed for the most part by PQ to HLG v1. This will let you grade HDR content in either Hybrid Log Gamma or Perceptual Quantization, while being able to quickly deliver in both formats, with minimal time needed to prepare the second version. Because of the incompatibilities between the two curves, we recommend testing to see which of the LUT versions work best with your footage. LUT Version 3 is based on our more general HDR10 to SDR LUT, which we’ll discuss later. These LUTs adjust transfer functions only and do not alter the color space. VERSION 2 UPDATE - The PQ & HLG Cross Conversions LUTs have been updated to conform to the BT.2100 HLG standard, so that the PQ to HLG and HLG to PQ LUTs are fully reversible. The three previous LUTs mentioned are depreciated, and we recommend against using them. There are three new LUT sets in this pack, one based on strict mathematical transforms from PQ to HLG BT.2100, and two based on more artistic adjustment of the contrast and highlight rolloff. Additionally, some advanced PQ to HLG conversions with a variety of fixed reference points are now available in the LUT store. The Perceptual Quantization curve, standardized for HDR broadcast in CEA’s HDR10, is completely incompatible with SDR. Its extended dynamic range makes it appear washed out when shown on a standard screen, like a LOG format, and some creative decisions need to be made in how to apply contrast when moving from HDR into SDR. Clipping often creates unusable images, while roll-off curves can be inconsistent. Additionally, since the vast majority of content that exists is already in the “standard” dynamic range by default, any time existing content (including graphical overlays or content filmed on SDR cameras) needs to be used in HDR space, some conversions and considerations need to be accounted for so that the highlights don’t bloom and the image appear with hyper contrast. We’ve prepared a LUT that effectively works in all HDR10 to SDR situations, where the peak brightness is under 2,000 nits, by maintaining image contrast through 350-400 Nits, then gently rolling off the highlights into 1,000 nits before clipping. These LUTs are provided in two different color versions - Direct, and Intensity Matching. The Intensity Matching LUTs add intensity to the color saturation to match the perception of color intensity found in HDR video. Brighter images, whose maxFALLs exceed 360 Nits may also be converted by combining the nits brightness conversion LUTs and the HDR10 to SDR LUTs. In our HDR10 to SDR conversion pack we’ve also included two LUTs for monitoring HDR10 VFX timelines on SDR interface displays. We recommend using this as a non-rendering display monitoring LUT, since it has a more aggressive clipping profile than the other SDR conversion LUTs. We’ve also prepared a set of LUTs that operate in reverse, converting SDR content into HDR10, at three different brightness levels: Dark (SDR Direct), Medium, and Bright from multiple SDR color spaces (Rec. 709, Rec. 2020, P3 D65). These allow for easy integration of SDR content into HDR reels. Even applications that include considerations for HDR10 don’t always implement the function correctly, or include tools for fixing some of the specific issues with HDR10. For example, Adobe’s Photoshop allows for the decoding of RAW camera images into HDR10, but squeezes the full camera dynamic range into SDR’s dynamic range, before translating those digital values into HDR, instead of directly translating the camera’s dynamic range into the greater HDR10 dynamic range. Or, applications that are color space agnostic, like DaVinci Resolve, allow for encoding data above the brightness capabilities of your display, and often don’t apply traditional lift-gamma-gain functions to operate to act more uniformly across the distributed dynamic range. This leads to difficulty in working with HDR ranges, and leaving unseen ‘details’ in the brights or darks. We’ve created a set of utility LUTs specifically for fixing these problems found in Adobe and DaVinci Resolve (and other agnostic color grading applications). The first is a LUT designed to convert Adobe’s Limited HDR10 implementation into a better HDR10 range. To use the LUT, process your images in Camera RAW, and modify your workflow options so that your Color Space is set to Rec. 2100 PQ, with a Perceptual intent, and 16 bits/Channel bit depth. Render your image sequence flat, without clipping the whites or blacks on your histogram, as 16 bit TIFFs, and import the TIFF sequence into your color correction application of choice. Then, apply the Adobe Limited HDR to ST2084 LUT to scale the brightness range of the HDR image into a brighter HDR space, and begin your color grading from there. To handle issues of out of range brights that may contain funky details that, while invisible on your grading display, may become visible as displays improve in the future. For this we’ve created two clipping LUTs that hard clip the data output to 1,000 or 4,000 nits, that can be applied to ensure that any details above those values are clipped to what is visible on your display. Lastly, we’ve built a LUT based on our recommended output curve, which we discuss in the post “HDR Video Part 5: Grading, Mastering, and Delivering HDR”, which allows lift, gamma, and gain operations to more evenly be applied across an image. Jump over to that post to understand how and why this curve is useful. Many cameras, especially those that are geared towards consumers, don’t have options for working directly in HDR. Even some of the professionally available cameras have been slow to implement HDR transfer functions, especially for the perceptual quantization curve. Once again, custom LUTs are the best solution. 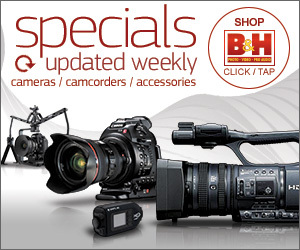 We’ve prepared a number for cameras that we work with on a regular basis. For consumer cameras or drones, this usually means shooting in ‘FLAT’ color profiles and then converting the data to HDR, while for some of the professional cameras it means running through LOG formats. We’ve prepared LUTs for three camera systems. The first is DJI’s Phantom 4 Pro, which is an excellent portable drone, and despite its 8 bit recording, offers an adequate image for light HDR grading. We’ve prepared LUTs that work with the FLAT color profile, converting the content into HDR, and SDR with three levels of contrast. The second camera system is Vision Research’s Phantom series, which shoots in Phantom CINE RAW format. The format currently offers three options for decoding the RAW: Rec. 709, Log1 and Log2. Since the Rec. 709 transfer function offers little latitude for working in HDR, we recommend decoding the CINE RAWs in Log1 or Log2 and applying our LUTs to convert into the PQ transfer function for HDR grading. We’ve also provided Log1 and Log2 to Gamma 2.4 LUTs for standardizing SDR workflows with the Phantom series. Lastly, we’ve prepared a complete set of LUTs for working with the Panasonic GH5S in HDR10, allowing you to monitor and grading in HDR. We’ve broken down the workflow in our post Panasonic GH5S and Shooting HDR10, so we’re not going to go into all of the LUTs we’ve prepared and how to use them here. The color science of the GH5 is close enough to that of the GH5S that these LUTs can also be used with the GH5. We wish that everyone could have the experience of grading in HDR10 on a properly calibrated high dynamic range grading display, but it’s unfortunately price prohibitive for most independent filmmakers. There are however high brightness production monitors that offer brightness ranges that are compatible with HDR, especially with HDR10 which requires specific nits levels at the display. However, their dynamic range is more limited than a qualified high dynamic range reference monitor (by about half), and their interpretation of HDR is somewhat lacking, since they’re designed to let you see the whole camera signal instead of the values landing where they would with proper contrast. We brought in a couple of these production monitors and compared them to our Sony BVM-X300. Specifically, we compared the SmallHD 1703 P3X and the Atomos Sumo 19, along with the Atomos Shogun/Ninja Inferno and the SmallHD 5- and 7- series high brightness displays. With proper display color calibration, the LUTs we’ve built that cover specific brightness ranges, and adjusting the brightness of the display to match the working range, you can grade effectively in HDR on these production monitors, for far less money than you would if you needed a reference display. And since you’re working with a 1080 display and are managing the HDR interpretation yourself, you can get away with purchasing a small HDMI 1080 video output like the Blackmagic Design Ultrastudio Mini Monitor or Decklink Mini Monitor / Mini Monitor 4K if you’re using DaVinci Resolve or Final Cut Pro-X as your coloring software, or the AJA T-Tap or Io Express if you’re using another color grading application that supports AJA devices. It’s not a perfect HDR experience, but with our display calibration LUTs it’s good enough that we’ve decided to use one of our production displays if we need to grade in HDR on two computers simultaneously. 1 LUT Licensing: The Mystery Box LUTs are licensed for use within a post production environment only. We grant the purchaser non-exclusive rights to use the LUT internally for their own projects, for the projects they are hired to fulfill, and to lend the LUTs to any post production facility they are working with, as necessitated by the project. Any third party receiving LUTs in this way understands that the LUTs are to be used on the Licensor's project only; they may not be used on any other party's projects without additional purchase. Further, Mystery Box does not grant to any persons or organizations the right to incorporate these LUTs into any publicly accessible technologies , including, but not limited to, web based encoders, color correction software, non-linear editors, real time encoders, direct to air broadcasts, or television displays. The Mystery Box LUTs purchased through the web store may only be used in the internal preparation of master file assets, that is, they must be applied prior to the master content's delivery to any third party. The only exception is the use of the Mystery Box HDR10 to SDR LUTs, which may be attached as LUTs when uploading the licensors HDR content to YouTube. For more information on licensing for incorporating these LUTs into technologies, please don't hesitate to get in touch. For the last couple of months, we’ve been working with Panasonic to create HDR10 content for the release of their new micro four-thirds camera, the LUMIX GH5S. We are incredibly happy with how well it performed. Besides working with the GH4 for behind-the-scenes and some small aerial shots, we haven't really worked with Panasonic cameras regularly since the days of the original VariCam and HVX200. There was a time when both of those cameras were our go-to workhorses, but in recent years we've primarily used RED and ARRI cameras. When Panasonic released the current generation of VariCams, we heard great things about Dual ISO and the image quality from fellow filmmakers. We weren't looking for new cameras though, so we never really gave them a second look. But when Panasonic reached out to us about trying out their newest model in the Lumix GH line, we couldn't have been happier to revisit an old friend. Overall, we are really impressed with the image quality of the GH5S, especially when mastering in HDR10. Our biggest goal when we started the project was to capitalize on the GH5S' Dual-ISO (400 & 2500) sensor, which delivers excellent low-light capabilities and nearly14-stops of dynamic range. We also wanted to show off some of the other well-known features of its predecessor the GH5, including V-Log L, 400mbps 10bit 422 all-intra internal recording, 4K 10bit 422 60p external recording, and its anamorphic mode, by pushing the camera's capabilities in a professional shooting environment. And in the process, we developed an end-to-end HDR10 workflow for the GH5S. The Panasonic LUMIX GH5S makes it affordable to capture, monitory, grade, and master high-quality HDR10, thanks to its internal 4K 10bit 422 internal and external recording, dual native ISOs, V-Log L capture space, and the camera body's low-price. If you want to work with the Hybrid Log Gamma (HLG) version of HDR, like its predecessor the GH5S has a fantastic native solution for capturing HLG footage. This walkthrough will help you get the best results out of the GH5S for HDR10, also known as SMPTE ST.2084 or Perceptual Quantization (PQ) HDR. At the moment, the Atomos Shogun & Ninja Infernos are the only HDR capable monitor with a built-in 60p recorder, which is necessary if you want to shoot in HDR10 at UHDp50 or UHDp60. We also recommend using the Atomos Sumo, Atomos Shogun/Ninja Flame, SmallHD 1703 P3X, SmallHD 1703 HDR, and the SmallHD 503/703 UltraBrights for HDR monitoring only - we’ve built LUTs for those displays too, and you can pick up all of the Panasonic and Mystery Box LUTs from our web store. When recording for HDR10, image quality and compression levels matter. The internal 10bit H.264 on the GH5S is fantastic for 24p/25p/30p recording, and rivals ProRes in quality. For shooting in 50p or 60p, recording ProRes on the Atomos Ninja Inferno is essential since the camera can only record in 8 bits and a minimum of 10 bits per channel is required for HDR work. See our article on HDR Video for the reasons why. Then, in your Rec Quality menu (Menu -> Motion Picture -> Rec Quality), set your quality and frame rate. For shooting in UHDp23.976, select 4K UHD, All Intra-frame, 400Mbps 24p (4K ALL-I 400M 24P). Note that which frame rate options you have available will depend on what your camera’s system frequency is set to (NTSC, PAL, Cinema). Setting your frequency to NTSC enables the progressive frame rates of 23.976 fps, 29.97 fps, and 59.94 fps; to PAL enables 25 fps and 50 fps; and to Cinema offers 24fps. Set the record quality to the best available for 59.94 (50) frames per second by setting the GH5S to 4K 8bit 150M 60P (50P) in the Rec Quality menu (Menu -> Motion Picture -> Rec Quality). This will set the frame rate, though actual recording at 60P (50P) must be done on the Shogun/Ninja Inferno. Turn on the HDMI Recording control in the HDMI Rec Output menu. Ensure that info display, down convert, and LUT HDMI Display are all off. Ensure the GH5S is outputting 10b 4:2:2 video over HDMI for 60P (50P) for the best image quality on the Shogun/Ninja Inferno. This is necessary for HDR. For 24p recording on the Atomos Shogun/Ninja Inferno, you’ll need to set your Time Code over HDMI and HDMI Recording Control (steps 1 and 2) as above, though setting the 4K/60P output over HDMI is unnecessary - 10 bit will be selected automatically by the camera. Your HDMI cables need to support HDMI 2.0 (18Gbps) or higher for 50p or 60p capture. Many inexpensive HDMI cables are not capable of achieving the listed standard speed, so be sure to test any cables you plan on using with the GH5S and the Ninja Inferno to ensure they support 4K 60P / 4K 50P 10bit 4:2:2 transmission. If the cable doesn’t support it, you’ll notice the Ninja Inferno cutting out and flickering during capture, and segmenting the ProRes clips as if you had started and stopped the camera each time. We brought in multiple brands of HDMI cables, and found that the Rocketfish cables gave us the best results. With the camera in Creative Movie Mode, set the shutter angle to 180 degrees to eliminate rolling shutter and to give a cinematic look. The camera has two native ISOs: 400 and 2500 in SDR, or 800 and 5000 when shooting in HLG or V-Log L. Plan on filming using one of these two ISOs, as they offer the greatest dynamic range. The camera works by rating the sensor at one of these two ISOs and then virtually adjusting the ISO to your selected ISO. When possible, the camera selects a native ISO greater than the selected ISO, i.e. ISO 400 for ISO ranges 160-400, and ISO 2500 for all ISOs greater than 500. You can also fix the ISO to one of the two circuits (low or high) which reduces the available ranges, but prevents the camera from suddenly changing ISO mid shot. For instance, if you select an ISO of 800, the camera operates internally at 2500, and selects for the brighter portions of the range for a dynamic range loss of 1.64 stops, lowering your clipping white point. When selecting an ISO of 5000, the camera again operates internally at ISO 2500, and selects for the darker portions of the range, resulting in a dynamic range loss of 1 stop, and increasing the signal to noise ratio. You can calculate the dynamic range loss with the following two equations. Notice the applicable ISO ranges. When the selected ISO is greater than native ISO, stops lost can be converted into an equivalent decrease in the signal to noise ratio, where each 1 stop equates to a -6dB loss in SNR. It’s essential that you capture the image with as close to perfect white balance as you can. While there are small corrections you can apply in post production, improper white balance usually results in a 1-2 stop loss of dynamic range and a compression of the available colors. As with other cameras that shoot in chroma subsampled video formats, the video files bake in the sensor’s RGB balance and can discard subtleties of tone and details in gradients of all of the colors, leading to blockier and flatter textures. The 10 bit internal recording helps substantially to minimize this effect, but will still cause problems if the divergence between the selected white balance and the actual color of the light is too high. Now that you’ve got the camera set up to capture at the best settings for HDR10 workflows, you’ll need to configure the Atomos Ninja Inferno to show you what you’re capturing. With the Atomos Shogun/Ninja Inferno it’s possible to monitor in HDR while capturing in ProRes 422 UHDp60, which makes it a very useful piece of kit for an HDR10 pipeline. As we mentioned in our post about using the Atomos Sumo and SmallHD 1703 P3X for HDR10 color grading, we strongly discourage using ATOM HDR for HDR10 monitoring, since it compresses the very wide HDR dynamic range into the small dynamic range of the display, giving you a washed out image. The Inferno has the same issue. So, in order to get the best results using the Atomos Shogun/Ninja Inferno for HDR10 video you’ll need to set up the display by applying the custom look we've created, the “MBOX Panasonic GH5S VLogL to Shogun-Ninja Inferno.cube” LUT. To load the LUT, first use the Shogun/Ninja Inferno to format an Atomos caddy with an HDD or SSD. Then, attach the caddy to your computer. Copy the file “MBOX Panasonic GH5S VLogL to Shogun-Ninja Inferno.cube” to the root of the volume, and eject the caddy. First select "CUSTOM LOOK", then select and empty LUT slot, and tap the folder to load a custom LUT. Select the MBOX Panasonic GH5S VlogL to Shogun-Ninja Inferno LUT to monitor in HDR. In the CUSTOM LOOK settings group, select an empty Look slot (1-8) and tap the folder icon to the left. You should see the LUT “MBOX Panasonic GH5S VLogL to Shogun-Ninja Inferno” appear in the list. Double tap the LUT to load it to the look slot. This only needs to be done once, so long as you do not overwrite the look. With the LUT loaded, slide the brightness slider to full, or reduce the brightness to match the ambient condition. This look takes the V-Log L image coming from the camera and converts it into the Shogun/Ninja Inferno’s native dynamic range and color space. It allows you to a) see most of the dynamic range the camera is capturing in a b) normalized contrast curve, by utilizing the greater brightness range of the Shognun/Ninja Inferno. The LUT does clip the details in the darks, since the display is only capable of 10 stops of dynamic range. When you want to see all of the detail the camera is capturing, we’ve found that toggling the LUT on and off (by switching to standard Rec 709 mode) the most useful, rather than using ATOM HDR to scale the whole image into the Inferno's dynamic range. Watching your histograms on both the camera and the display also lets you see how much detail you’re retaining in the darks and whites, while the LUT allows you to see the overall contrast of the shot. Note that the histogram on the Atomos will show you the effects of the LUT, rather than showing you the values of the captured V-Log L.
We should note that when using the LUT it’s important to ensure that option to “REC LOOK” is DISABLED in the Shogun/Ninja Inferno’s MONITOR MODE menu. This allows the Inferno to record the input signal to the ProRes file without applying the look file to the captured image. If you are using another on-set monitor and looking the signal through the Shogun/Ninja Inferno, you can add the look to the output by selecting the “OUTPUT LOOK” option here, or bypass the conversion to use dedicated LUTs on other devices. Because of the brightness ranges and color spaces used, there are separate LUTs converting Panasonic V-Log L to the Atomos Sumo, the SmallHD 702 Bright and the SmallHD 1703 P3X, while the SmallHD 503/703 UltraBright, SmallHD 1703 HDR, and Atomos Shogun/Ninja Flame can all use the LUT originally built for the Shogun/Ninja Inferno. Other non-HDR brightness range SDR displays should use the V-Log L to Rec. 709 LUT. All of these LUTs are available in our Panasonic LUT pack. With the look applied to the Inferno, you should be able to see the overall relative contrast by eye, though your highlights will be slightly more compressed than they will be in full HDR10, and your blacks will be slightly clipped. In HDR video, it’s important to minimize the amount of clipping in the bright areas of the image. For an in-depth discussion of the hows and whys, review our post on Shooting for HDR. To allow the Shogun/Ninja to highlight which parts of the image will clip in the output HDR video, configure the Zebras in the MONITOR ASSIST menu. Set the threshold to 105%. This will apply the zebra pattern to any part of the image where you’re clipping in the V-Log L signal (approximately 1200 nits). The LUT is designed to recover about a stop of what appears clipped when viewed with the LUT, but you will not be able to recover anything in the zebra’d area. You can also check your exposure using the Exposure Assist feature of the Shogun/Ninja Inferno. Expose caucasian skin tone as green, with bright spots of neutral grey, and the roll off into the darker grey. This yields optimal exposure and highlight retention. In color correction later, this will place the skin tones at the target brightness (about 120 nits). Here again, anything that reads as red on the exposure assist is clipped in HDR. Do not confuse the orange and red; combine with a check against the zebras and the histogram to see if highlight detail is clipping. When recording clips on the Ninja Inferno, use 10 bit ProRes 422 HQ. This reduces the amount of noise introduced in compression, and provides the best image for HDR grading and further color correction. The camera original files or files from the Ninja Inferno are directly usable in Adobe Premiere or Final Cut Pro for editing, though in our experience you may still want to use a proxy workflow. The built-in H.264 decoders in nearly all computers is only an 8 bit decoder and so playback of the camera H.264 places a hefty load on the CPU and GPU, and can cause significant slow downs, while the high frame rate ProRes is data heavy and requires RAIDs for real-time editing. We recommend using a proxy workflow for editing, using 1080p ProRes 422 or H.264 proxy files (in QuickTime MOV) for the edit, rather than the full resolution 4K files. This lets the files read from disk 4-10x faster, and by burning in the V-Log L to BT.709 SDR look, you won’t place additional load on your processor. Prepare your H.264 proxies by applying the look file “MBOX Panasonic GH5S VLogL to BT709.cube” file, in the processing program of your choice. Use the resolution 1920 x 1080 for your proxies if you shot at UHD, or 2048 x 1080 if you shot at cinema 4K. When you render, ensure that your proxy file names match the original camera file names exactly (including file extensions), and that your container handles timecode - be careful to not overwrite the camera originals! We’ve found DaVinci Resolve to offer the best speed and quality when preparing our proxies, and would recommend it for proxy generation, especially if you are mastering in Resolve later. If you are doing a 60->24 slow motion effect, we strongly recommend applying the frame rate interpretation in Resolve and rendering out proxies using Resolve timecodes, since this will help when relink to the RAWs later. If you don’t want to relink to the RAWs in DaVinci later, and would prefer to relink to them using your editorial program, you can relink them in your editorial program of choice and export a 10 bit DPX sequence without LUTs to send to color correction. For color correcting and mastering in HDR10 we recommend against using editorial programs such as Adobe Premiere and Final Cut Pro X. As we discussed when Adobe first added “HDR” tools to Premiere, Adobe’s choice to limit the available color and brightness range to SDR only when working in HDR is severely problematic. With the 10.4 release of Final Cut Pro X, Apple has recently added HDR grading tools to their application, but their implementation has its own problems, especially with respect to how they handle the desktop viewer, managing LOG/camera color space footage, and their implementation of LUTs. When operating with a library and project in HDR mode, the viewer hard clips at the brightness level of the display, the input color spaces are not assignable to camera color spaces and LOG curves, and applying LUTs had strange effects on clipping and scaling. FCP-X does, however, actually output an HDR image to both the viewer and to an attached reference display - which means you can actually grade with it, but you may find you can't use the same LUTs to convert your LOG footage to HDR as elsewhere to speed along the process. Here again we recommend using a color space agnostic color engine, like DaVinci Resolve Studio. Check out our blog post here for more information on how to pick a color engine and managing modern multiple color space workflows. We’ve created a simple LUT that can be attached as an input LUT to each clip in your color correction software to move from the Panasonic V-Log L directly into BT.2020 PQ for HDR10 grading ("MBOX Panasonic GH5S VLogL to BT2020 PQ (HDR10).cube"). Generally speaking this provides an ideal starting place for HDR10 color correction. We still recommend using an output compression curve to reduce racing through the highlights when adjusting lift, gamma, and gain, as we outlined in our post on Grading, Mastering, and Delivering HDR. Grading should be done after the applied LUT. For applying VFX to your GH5S footage, such as background replacements, paint outs, or digital insertions we recommend working in either the native V-Log L, or applying the V-Log L to BT.2020 PQ LUT to work in the wider space. Working in HDR in VFX allows you to combine and matte in assets filmed using other cameras, or that already exist in SDR or HDR. For digitally created or existing elements that assume a Rec. 709 color space and SDR EOTF it’s a simple enough procedure to convert the assets into HDR by using the LUTs found in the MBOX SDR to HDR LUT pack - this will save you hours of trying to match your VFX assets to the V-Log L or HDR EOTF. Since you’re unlikely to work on VFX elements with an HDR display, we’ve also prepared a VFX monitoring LUT that you can apply as an adjustment layer for viewing the HDR content on a standard desktop monitor. Keep in mind it may be difficult to perceive contrast when viewing HDR content in SDR. Disable any monitoring LUTs before rendering to keep the BT.2020 PQ color space. Lastly, no workflow is complete without considerations for delivery. After grading and rendering in HDR, you can save yourself hours of work by applying the MBOX HDR10 to SDR conversion LUTs to quickly convert from HDR to SDR, or to embed when uploading the file to YouTube for general distribution. See our post about grading and mastering in HDR for more details on that process. Whether you're new to shooting and delivering in HDR, or have been practicing for a while, the Panasonic GH5S with V-Log L enabled provides a fantastic starting point for an all-HDR10 workflow. From monitoring what you're shooting in HDR10 to delivering your content through the color grading process, the LUTs and workflow we've created will accelerate your ability to leverage HDR10 on nearly any size budget. We look forward to seeing what kind of content you can create.